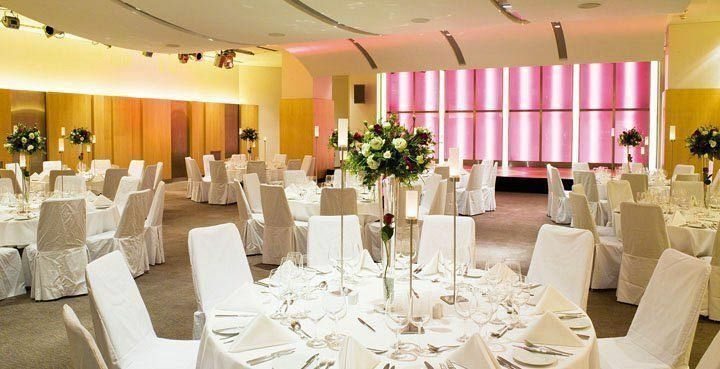 Perfectly located close to the city’s famous Oxford Street and offering guests a variety of function rooms for their Christmas event, this venue is the ideal place to round off the end of the working year. Being flexible, the venue is also able to accommodate smaller groups of 60 for private events as well as larger groups who are looking for the complete party package. Make your evening even more special this year by choosing one of the venue’s incredible themes, which will include spectacular theming and décor; the list of options is vast and includes James Bond, Star Wars, Masquerade, Monte Carlo Casino, 1920’s Great Gatsby, Murder Mystery and Winter Wonderland. If you have your own ideas for your event, then the venue will be more than happy to discuss this with you and help make your visions a reality! 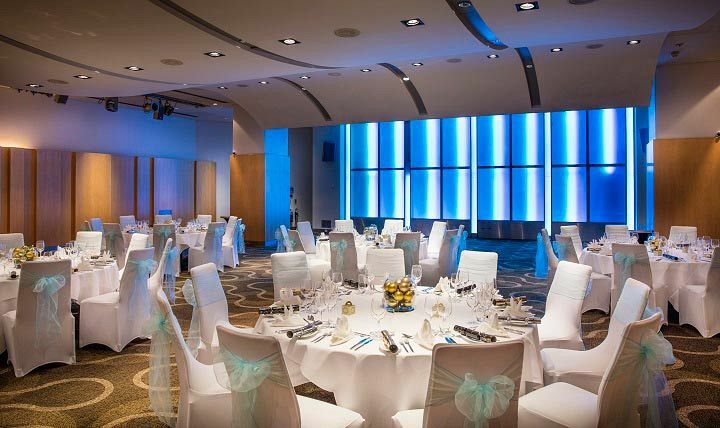 One of the event spaces available is the luxurious Ocean Room, which features a stunning ‘wave form’ ceiling and ‘light walls’ which will create the perfect mood and atmosphere for your celebration. Whatever theme you choose, your evening with start off with a glamorous Prosecco reception, that’s followed by a mouth-watering three-course festive feast that comes with mineral water. The dining experience is shortly followed by a brilliant DJ and disco who will be taking you into the early evening with their epic playlist. So treat yourself to an ice-cold drink from the extensive bar and get ready to let your hair down! Send an enquiry through to this excellent venue today and celebrate the Christmas season in style!